On a farm near a forest in the middle of Vermont, a battle is brewing. Right underneath everyone's noses. While this estate mostly grows and sells crops, in a large field out back lives a flock of sheep. 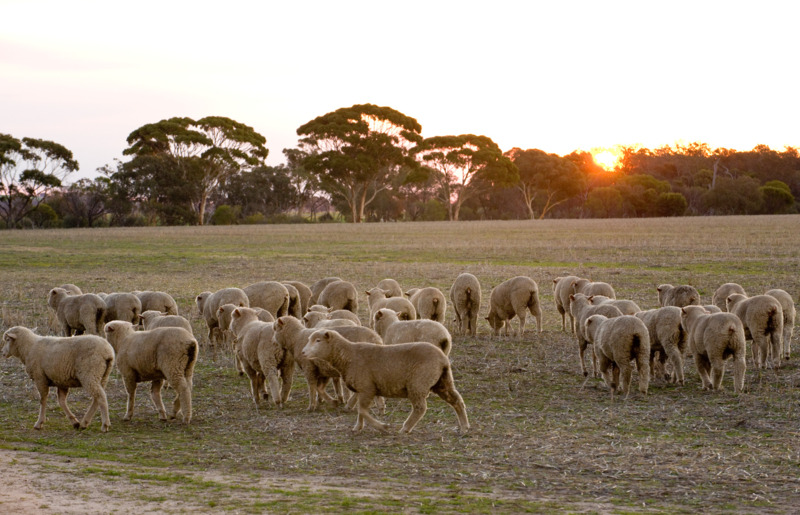 Unlike most sheep farms, the farmers don’t use them for their meat, but instead for their wool, which means that it makes it even more important to provide protection for them. Because of this, the head shepherd on the farm has gathered a bunch of dogs to not only herd the sheep, but protect them too. However, the hiring of the dogs may be more important than they initially thought. Beyond the farmlands is a nearby forest that houses a wolf pack, who will do anything to survive. They have their eyes set on the nearby sheep flock as their biggest haul yet, so the sheep and dogs have to whatever they can to survive against their new foes. When the sun goes down, anything can happen. First thing you’ll see on the farm is a classical large red barn with a house nearby. In the front of the barn is where the farmers do most of their work, as that is where all their crops are. The dogs sleep in the barn, but the higher ranked and most loyal members get to sleep in the house, where all the humans stay. Out in the back of the farm is the gated field where the sheep reside. It is split up into two different sectors, one where they sleep for the night, and the other for when they graze during the day. Nearby the field is a dense forest overlooking the estate, and deep in the forest is a collection of caves and dens where the wolves call their home. While the dogs and the humans protect and guide the sheep, the sheep are still very intelligent and can handle themselves. They have their own society and ranks to help maintain the order within the flock. They work together with the dogs to ensure survival and protect their families from their main enemies of the wolves. -Herd Leader: The head sheep of their flock. They command the sheep and tell them what to do. When the sheep are being herded by the dogs, the Herd Leader is always in the front. -Commander: The most loyal member to the Herd Leader, they are the second in command and help out when needed. -Doctors: Sheep who heal any of their fellow members who were attacked by the wolves, whenever their farmers are unable to. -Guard Sheep: The strongest members of the flock who volunteer to help the dogs fight against the wolves. -Regular Members: The majority of members of the herd, they do whatever tasks that needed to be fulfilled throughout the day in the herd. -Lamb Sitters: Sheep who help take care and raise lambs when their parents are unable to. -Elders: The older and more weaker member of the herd, usually need to be protected more. -Lambs: The youngsters of the herd, ages ranging from newborn to teenager. In order to protect their sheep, the shepherds of the farm have created a pack by taking their already owned dogs and adopting new ones in order to herd their sheep. The dogs not only herd the sheep, but they also vigorously protect them, and have even formed a close bond with them, considering them their allies. 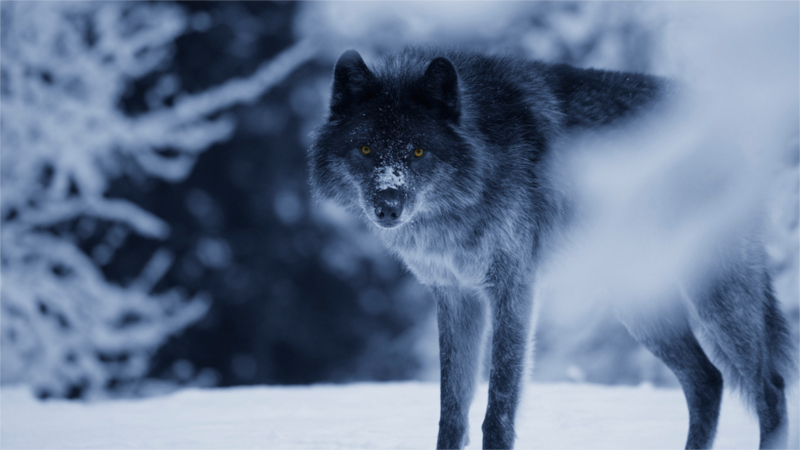 They deeply distrust the wolves and consider them all to be bad, regardless of how an individual wolf may be. -Alpha: The head of the dog pack. They give orders to and lead the rest of the pack. They are the most loyal and closest dog to the shepherd. -Beta: The Beta works closely with the alpha and can take over their position when needed. -Medics: Dogs who help take care of un well members of either the pack or the herd. -Fighters: Dogs who protect the sheep by going out to fight off the wolves. -Guards: Dogs who protect the herd by staying behind and looking after the sheep. -Mothers: Female dogs who are currently nursing or pregnant and thus have to momentarily retire from their normal job. -Elders: Older and retired members of the pack, making them unable to herd. -Apprentices: Adolescent dogs who are being mentored by the other ranks to find their place among the pack. Aged from 1 to 3 years. -Pups: The babies and children of the pack. All dogs, apart from mothers, elders, and pups, herd the sheep. While they aren’t inherently evil, the wolves are the main enemies of the dogs and sheep. 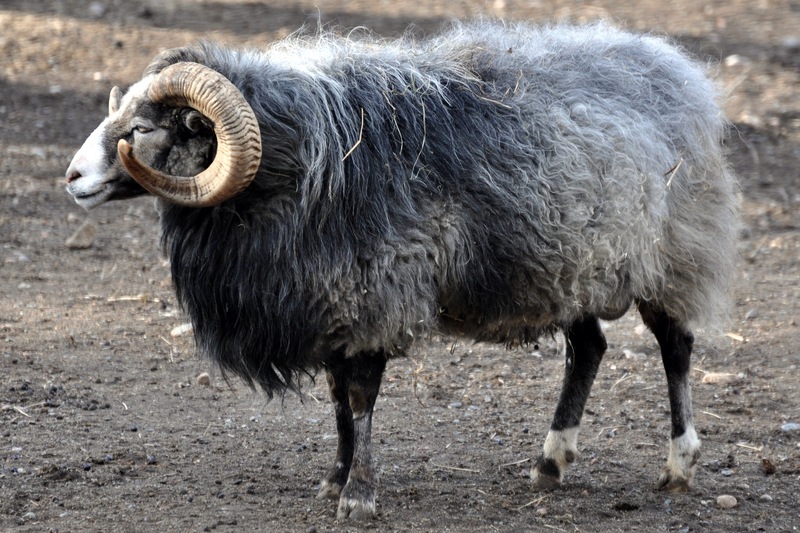 Due to their large numbers and larger bodies, the sheep are a prime target for the wolf pack when it comes to hunting, putting them at odds with the farm animals who live there. 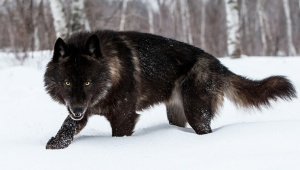 The wolves see dogs as their enemies, while they see the sheep as nothing but meek prey animals and food. -Alpha Pair: A pair of mated wolves who rule over the pack and give them their commands. -Beta Pair: Two wolves who are the second highest rank, helping the alphas enforce the rules and even can become the new alphas if the old ones die and there are no heirs around. They are both mates with each other. -Heirs: The alpha pair’s children and the future inheritors of the pack leadership. -Head Healer: The leader of the healers. -Healers: Wolves who heal the sick and injured. -Head Warrior: The leader of the warriors. -Warriors: Wolves who fight in wars and battles against the dogs and the guard sheep. -Head Hunter: The leader of the hunters. -Hunters: Wolves who hunt food for the pack. They are the ones who try to kill the sheep. -Mothers: Wolves who are pregnant and/or nursing and are momentarily retired from their normal ranks in order to take care of their newborn pups. -Elders: Old and retired pack members. -Subordinates: Teenage wolves in training to either become a warrior, a hunter, or a healer. Aged 1 to 3. -Pups: The youngsters of the pack. -No sexual or birthing scenes. Blur them out. -Minor violence will occur in this thread, though nothing too gory. -Swearing is tolerable but slurs will result in a ban. -No fighting OOC, but it is very encouraged IC. -You can’t have a relationship with or kill anyone else’s characters without asking their creator for permission first. -No godmodding, Mary Sues, or other OP characters. 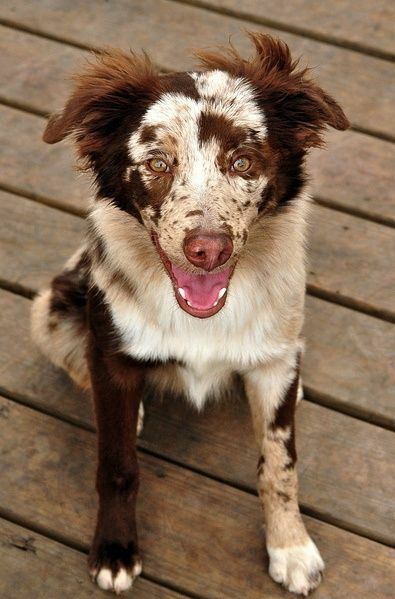 -You can be whatever type of dog you want, as long as that type of dog is a herding dog. -Make sure the genders are even. Also, make sure the species are even too. I don’t want there to be 12 dogs and 15 wolves and only 2 sheep. -There can be some sheep and dogs who are kind or indifferent about wolves, and some wolves who are kind or indifferent about dogs and sheep, but the majority of them have to hate each other, especially the leaders of each respective clan. They are engaged in a war after all. -You can either be a sheep, a dog, or a wolf. No other animals; farm, domestic, wild, or otherwise. I might add wolfdogs in the future as a playable species, but for now, only those three. -You can’t be one of the farmers, shepherds, or just generally any human. They will be NPCs. -No loners or rogues. You must be on one of the three sides. -The three clans relationships are as followed; the sheep and dogs are allies and they are enemies with the wolves. You can’t have a wolf that’s on the sheep and dogs’ side or vice versa. Sure, you can have a character who is curious if the other side is truly bad or even object to going too far with their battles against the other side, but for now, sheep are with sheep, dogs are with dogs, and wolves are with wolves. -There will be character deaths in this story, so be prepared for that. However, if you don’t want your character to die, let me know. -Only join if you have a decent muse. -No one-liners, I would prefer if posts were at least one paragraph long. -If you have any questions, comments, concerns, or any major plot ideas, let me know. -Write your favorite color in the Other section if you read all the rules. Personality: A kind and intelligent young sheep. She is often outspoken due to her quiet and more passive nature. Jezebel prefers to use her mind rather than her actions to get things done. She is rational, smart, and is very good at her job, knowing a wide variety of plants and herbs and their effects on the body. She acts calm, though deep down, she is afraid of being killed by one of the wolves, and has a lot of faith riding on the guard sheep and the dogs. It takes a lot to get under Jezelbel’s skin, but she can be a bit stern, cold, yet honest to others around her if she thinks they’re being incompetent. However, she usually still stays within her own rank and doesn’t bother any of the leaders of the sheep as the dogs. 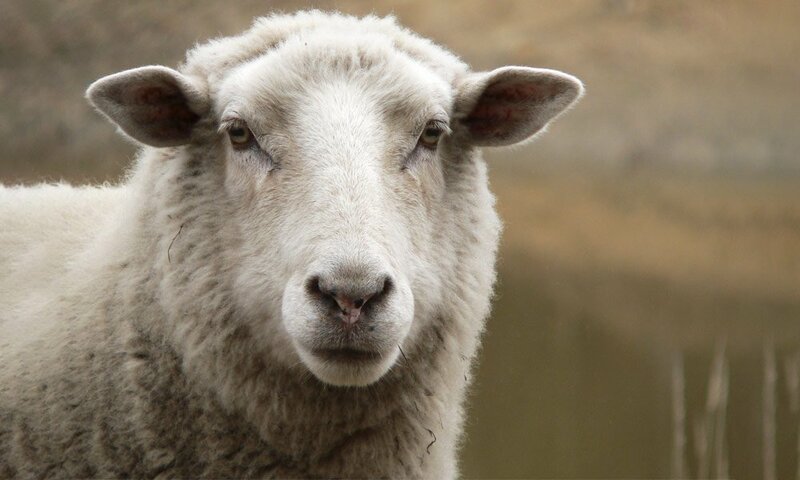 History: Unlike most of the other sheep in the herd, Jezebel wasn’t originally apart of this specific farm, and was relocated there when the place needed more sheep. Once she arrived, she realized the damage the wolves were causing to her new flock, she decided to help in the only way she knew how; medicine. 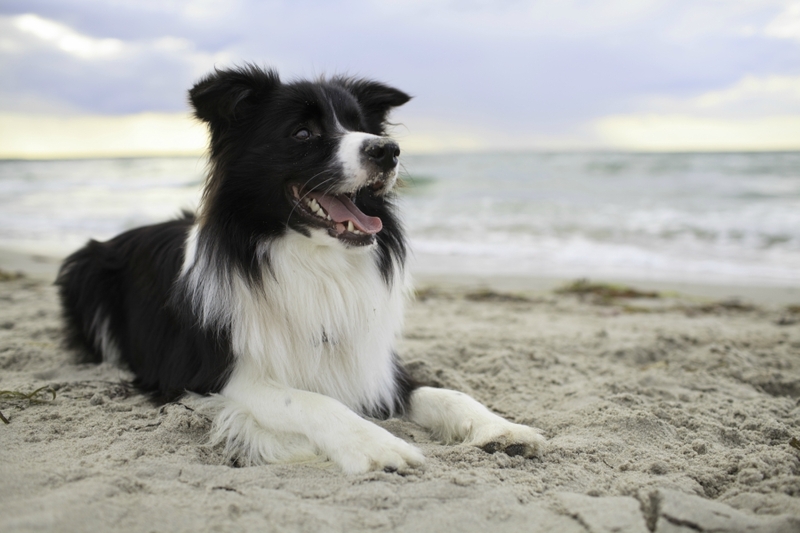 Personality: Like most dogs, Sandy is an optimist who is full of energy. Despite this, she can be a bit snarky and sarcastic than most hyperactive dogs around her. She is playful and fun-loving, and always loved partaking in activities that require running and action. She can be a bit clumsy, and sometimes even takes her job as a fighter a bit too lightly, using it as an excuse to run around and explore the vast landscape around their humble farm. However, her immature nature isn’t entirely mischievous, as she is also very compassionate and a ray of sunshine to others around her. She is very emotional and even a bit of a hopeless romantic, as much as she doesn’t like admitting it. Personality: Cold and calculating, Ebony is the perfect leader, and is really the one pulling all the strings behind the wolves’ operations. She is extremely loyal and kind to her pack, but to anyone else, she is stern, dismissive, and even aggressive. Due to her serious and rational nature, she is not known for her jokes, and even has trouble socially, however, she deeply loves her pack and does everything she can to make sure they are safe, healthy, and happy, even if it means slaughtering a few sheep while doing it. History: Not much is known about Ebony. She sort of showed up to the forest one day and used her intelligence and leadership skills to form a pack with the wolves in the area. She figured it would be best if they camped out by a nearby farm in the hopes of gaining food. The post was edited 6 times, last by KairosLion ( Friday, 4:00 am ). track I'll reply in the morning! awesome!! could I reserve herd leader? 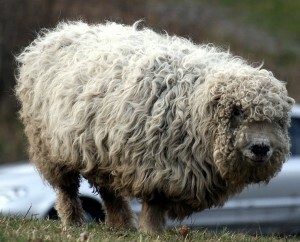 And are all sheep restricted to like, basic merinos, or could they be any breed of domestic sheep? aliferous They can be any breed, though preferably ones common in America and are bred for their wool. Also, sure! I’ll reserve them right away! Personality: Elderly though loyal to no end. William is gentle and forgiving most of the time. He's wise and very passionate about his family (aka his herd). However, he takes absolutely no shite and refuses to let anyone boss any of his herd around, and he has a habit of being a bit impatient or defensive sometimes. History: Nothing special about this gal, she was born into the pack and worked her way up to hunter. Personality: Lux is proud and tough. Though young, she’ll face any threat without hesitation and put her all into her job. She’s determined to prove that she can be just as tough as her brothers, despite her smaller size. She’s playful at times but very focused on her work, which sometimes takes a toll on her energy when she forgets to take a break. She says exactly what she means, and isn’t concerned with tiptoeing around people’s feelings when she speaks. She needs someone to match her energy and determination, and hasn’t found anyone that clicks with her yet. It may also have to do with her workaholic attitude driving people away often, but as far as she’s concerned at the moment, she has better things to focus on than love. History: Grew up in a litter of 4 brothers and herself. She was also the runt of the litter, so straight from the moment she could walk she was fixed on proving herself to be just as good as the others. The post was edited 2 times, last by aliferous ( Apr 15th 2019 ). aliferous Accepted! Though dogs gain ranks when just become 4. Personality: Agatha is a very friendly ewe, and is a favorite among not only the humans of the farm, but the dogs, as well. While she can be quite lazy from time to time, as she is a particularly laid-back sheep, she tends to be a "second mother" to the lambs she's dedicated to looking after. Though she has never had any children of her own, she is very maternal, and can be fiercely protective over the young ones of the herd. Agatha is a stubborn ewe when it comes to her lambs, and not many dare to get in her way if something seems amiss with them. History: Agatha wasn't born on the farm, unlike most, though she has become a part of the herd just as any other sheep. She was purchased from another farmer as a lamb, and was brought to this farm to become a part of the family. Growing up, she really took to the lambs, and realized she wanted to become a Lamb Sitter, so that's what she became. She has never taken a mate or had any lambs of her own, though she is still very young so such things are entirely possible one day. Making my forms today can I have the dog alpha? The post was edited 1 time, last by Wolfiee ( Apr 15th 2019 ). Wolfiee Certainly! I’ll reserve them for you. Anyone know who might be interested? He doesn’t preferred to be called anything else. Bacchus is known for having a tremendously oversized heart. He could never stand seeing any one of his pack members injured, and secretly he never liked seeing the sheep killed. His instinct is to heal every wound possible, emotionally and physically. Therefore whenever a sheep or a dog is hurt or killed in front of him, he channels all of his compassion and sympathy to healing his packmates. Although he is also known to be a recluse, preferring his own company over others. He’s a very gentle and sweet soul, but too much social interaction drains him and tires him. Due to his shy and reserved nature, he’s never been able to take a mate or have any serious friends. Whenever he finds that his emotions are getting the better of him, he often likes to hide in the woods, avoiding everyone else until he’s able to calm himself down. He was born with two other siblings into the pack. At a very young age, his healing abilities were recognized by the head healer at the time. He was brought into training quite early, and he didn’t get to spend much time just being a pup. Due to this, he didn’t have much time to interact with his sister. But little did anyone know how protective he was of her. She was practically his only family left. 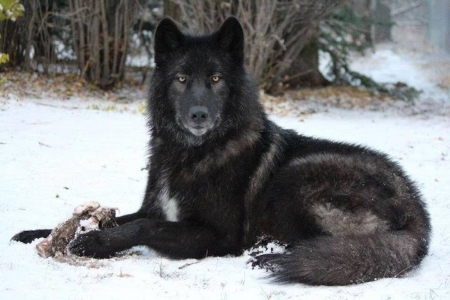 His mother abandoned the pack when he was old enough to eat prey. His father was killed by a dog in a fight for sheep. He has a sister, Astrid, a hunter. Other: Perhaps he could be Astrid’s brother? If not, I’ll rewrite some of the history. Also, sunset orange. Bandit is known for either drawing others in like a magnet or intimidating them so that they fear approaching him. There’s no in between. He either makes friends or enemies. He may seem all rough and tough on the outside, but on the inside he’s as sensitive as they come. He will often let little things get to him, and there are times he will lash out to protect his pride. But his loyalty is unshaken. He despises the wolves, and he will be the first to go for the throat when times call for it. However he does have compassion in his heart, and a soft spot for those unable to fight, such as elders, mothers and pups. He is known to keep a lot of things secret until the effort his made to talk to him. He’s not typically an open conversator, and social activity isn’t his strong suit. He’s mental, and he has the mind of a master strategist. He admires those who have strong minds and strong hearts as he does. 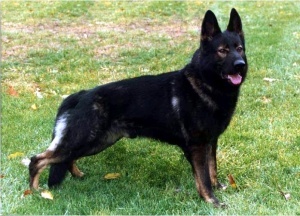 He was brought onto the farm by a breeder, because a German Shepherd was specifically asked for to guard. As a pup, he only ever knew his mother and his four sisters. He grew up in a natural farm environment until he was about six months old. He was the first to be separated from his family. Once he arrived at the farm, he was officially trained in his duties by the other dogs. He never knew his father. His mother is used for breeding. His sisters are all in unknown locations. You can't get rid of fear. It's like Mother Nature. You can't beat her or outrun her. But you can get through it, and you can find out what you're made of. I’m cool with Bacchus and Asrid being siblings! Personality: Velocity is quite the energetic female as she's often seen trying to have some sort of fun. She has a small fear of the wolves, always seeing them as the bad creatures in this world. Other then that she seems just like any other growing teen, wanting to finding a meaning in her life. Vel also wishes to prove herself to the others and will jump through hopes for praise. History: Velocity was raised on the farm and taught by the older dogs of the group. She's ran into one wolf and attempted to befriend them; only to have things go south quickly. Personality: Preacher can be seen as more laid back then most would think, stopping his decisions from being blinded by emotion. History: Preacher was originally apart of another pack when he was young; but got kicked out once he reached maternity. His sister was left back in the pack, meaning they haven't seen one another in months. Not much else is known as Preacher doesn't seem comfortable to bring up the past. The post was edited 1 time, last by DarkenedMemories ( Yesterday, 12:51 am ).